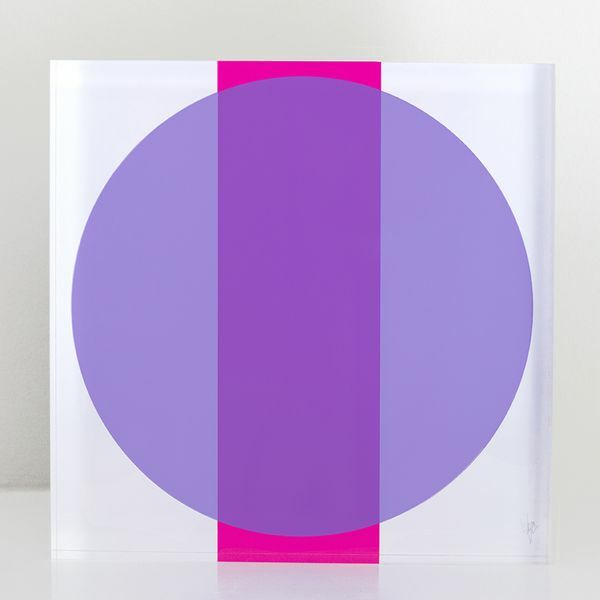 Original 8"x 8" art prints are mounted behind glossy 1-inch thick blocks of acrylic glass. These sculptural pieces can stand alone or as a group on a table, mantle, or shelf. Wall Hanging Kits and 11" Acrylic Easels sold separately.